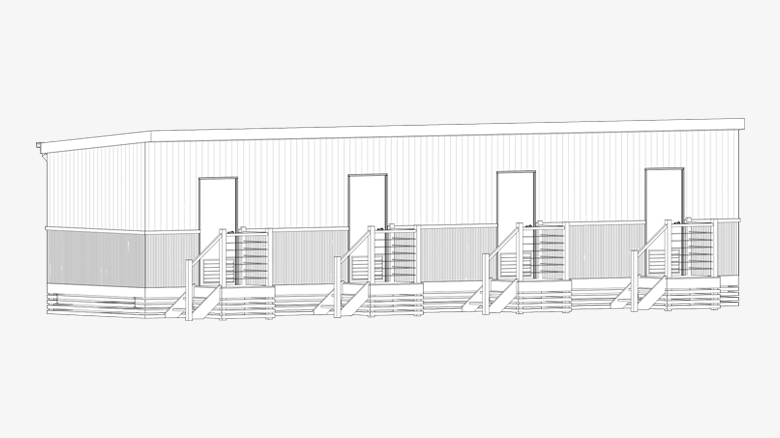 Our bunk houses are most often used as worker accommodation on job sites. They work great in this environment for a lot of reasons. 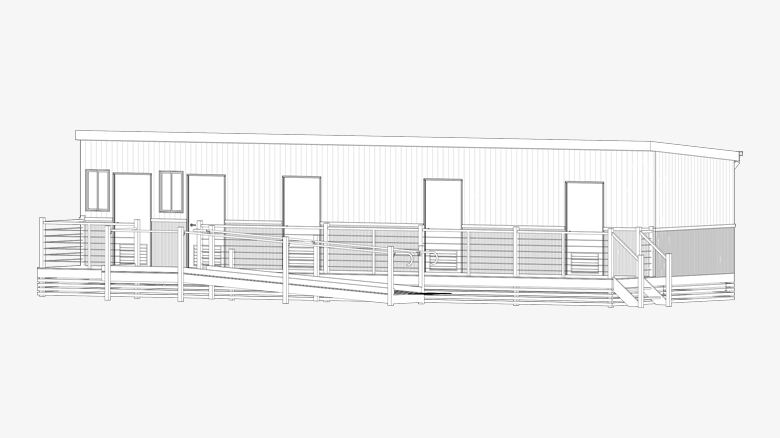 First, they’re built to be transportable and relocatable, so they can be used over and over again, maximising your investment. We use top-quality materials and manufacturing processes, so they’re built to withstand not only rugged Australian conditions, but the tough daily grind of a worksite. A bunk house is also a great way to encourage a sense of team and better relationships between your employees. They offer a comfortable “home away from home” atmosphere that just might win you Boss of the Year. 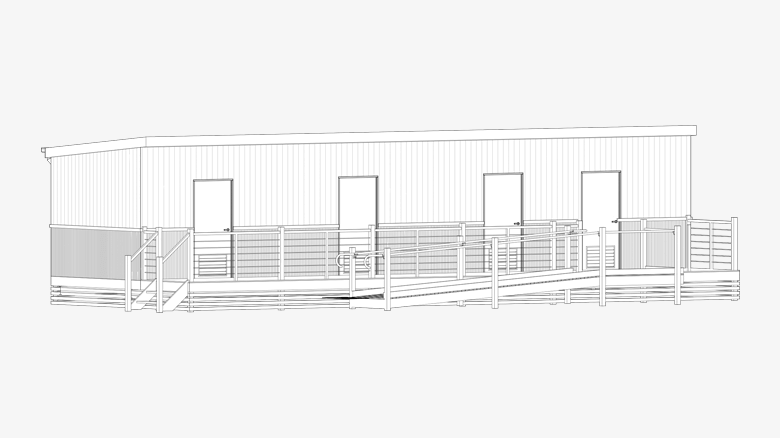 But our bunk houses and studios aren’t limited to worksite housing. 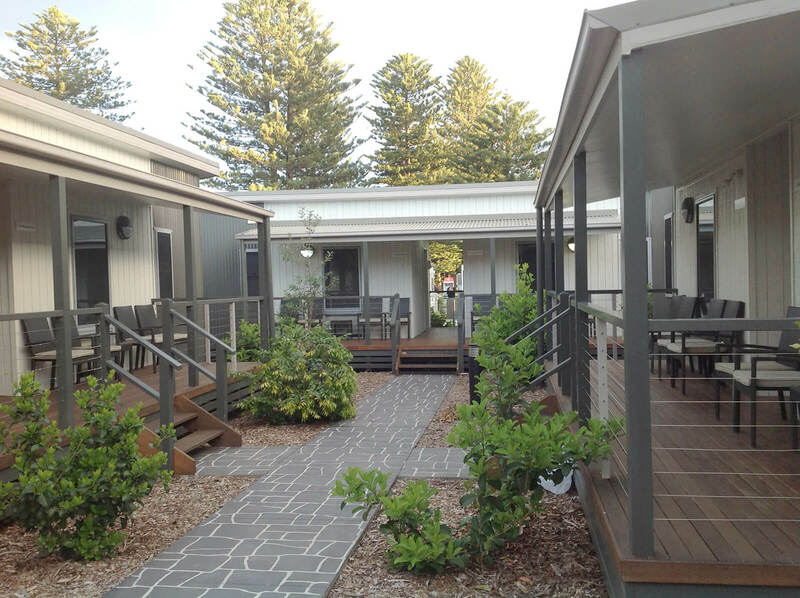 These modular buildings can be used for any number of circumstances and needs. We tailor each one to suit your situation. Give us a call and we can adjust any of our layouts to be perfect for you. 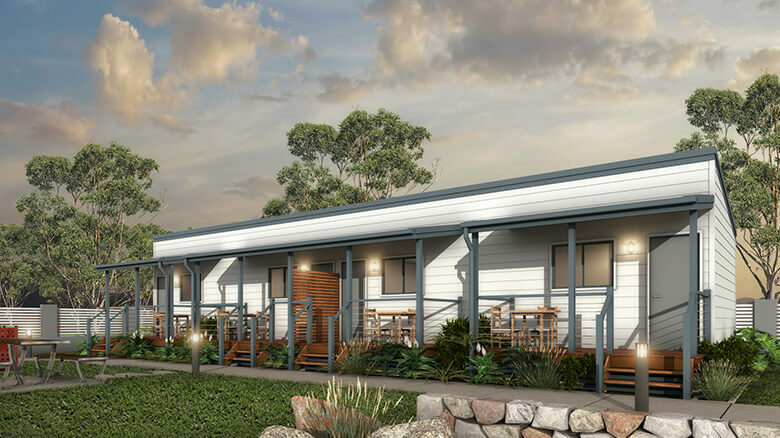 Bunk houses include kitchenettes, ensuite bathrooms, hardwood timber decking and generous living areas, and every detail is completely customisable to fit your needs. All of our buildings boast raked ceilings, fibercement bathroom flooring, the highest quality paint finishes and PVC edges on our cabinetwork - as standard. We can also advise you on council rules, energy efficiency, and sustainable materials. 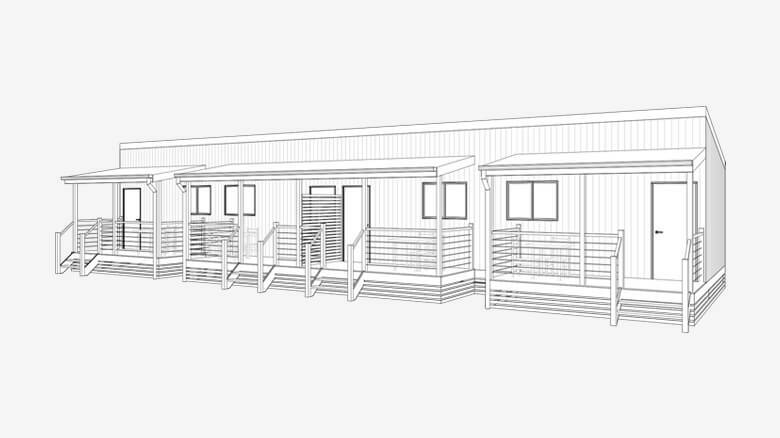 We’ve been in the modular building business for over 25 years, so you can rest easy knowing that we have it all taken care of. Call us today to discuss your needs and how we can build the perfect bunk house for your unique needs.